World Snooker Championship Day 6: Mark Williams is the last man through to second round, beating Liu Chuang 10-6 to meet O'Sullivan next. The Welsh Potting Machine with a better form today moved up to 9-4 at the interval and requiring just one more frame for victory. The Chinese took two more frames before Williams dash his hopes of comeback, winning the match by 10-6. "I probably should have won it a lot earlier and every frame he was winning, I was starting to feel a bit more pressure. At one stage I was sat in my chair wondering how many more he was going to pull back. I'm just over the moon to scrape through.'' Being asked about losing to Ronnie in ranking events for ten years, "I've been owing Ronnie one for ten years. Let's hope that this time that I beat him. I enjoy the occasion really, but he always plays well against me. I need to play a lot better than that to stand any chance." 2008 World Finalist Ali Carter beaten Mark Davis by 10-2, showing some form today. Breaks of 44 and 48 brought first frame of the session before Davis won his second frame in the match. Total clearance of 132 in the next frame marked Carter's victory. "I'm pleased with the way I played, Mark obviously felt under the weather, but it was quite a good performance," said Carter. "It's only the first round so I'm not getting too excited but it's job done.'' 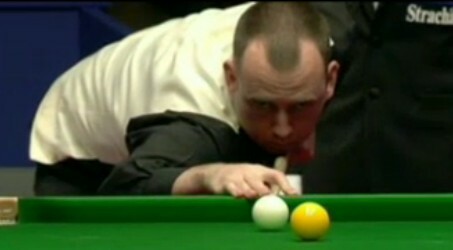 He will face Judd Trump next. Superb Neil Robertson led David Gilbert by 5-3 by the end of first session. 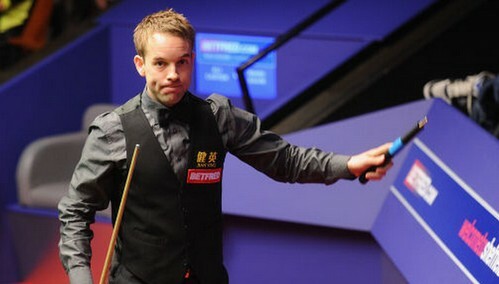 Gilbert, who defeated Martin Gould in the previous round was 3-1 up on Robertson at interval. Superb Aussie took the coming four frames with runs of 84, 106 and 131. Stephen Maguire led Joe Perry by the same scoreline with breaks of 101, 101, 52, 65 and 88.